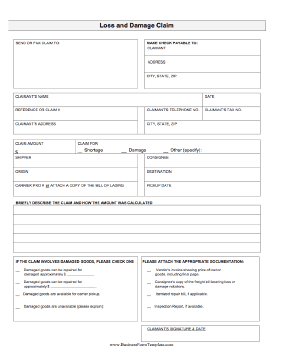 A loss or damage claim to be filled out and submitted to the presumably responsible entity. __damaged goods are available for carrier pickup. __vendor's invoice showing price of lost or damaged goods, including final page. __consignee's copy of the freight bill bearing loss or damage notations. __itemized repair bill, if applicable.